Saturday 6th October sees the fantastic Womens Climbing Symposium take place at HarroWall. 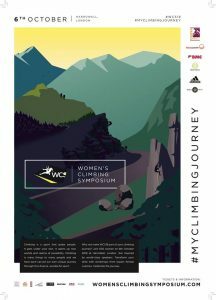 We are very proud to be hosting this event and are looking forward to the many 100’s of Women who will come to our beautiful centre and enjoy the biggest ever Womens Climbing Symposium! As we will be hosting this massive event we will have to close the centre to our normal customers for the day between 0900-1900 (this includes the Hard Play and Krazy Kong area). We will be re-open though from 1900-2200 on Saturday 6th October with a discounted price of only £5 entry for the evening! This will allow you to come climb on some amazing new problems and also take place in an ALL-STAR panel discussion that will be open to the public that takes place 2000-2100. This panel will host Beth Rodden, Anna Stohr and a few other inspiring Women. There will be a fantastic atmosphere with so many women taking what they’ve learned during that day and getting to continue climbing till 10pm!